Sports + podcasting go together like PB&J. Why? 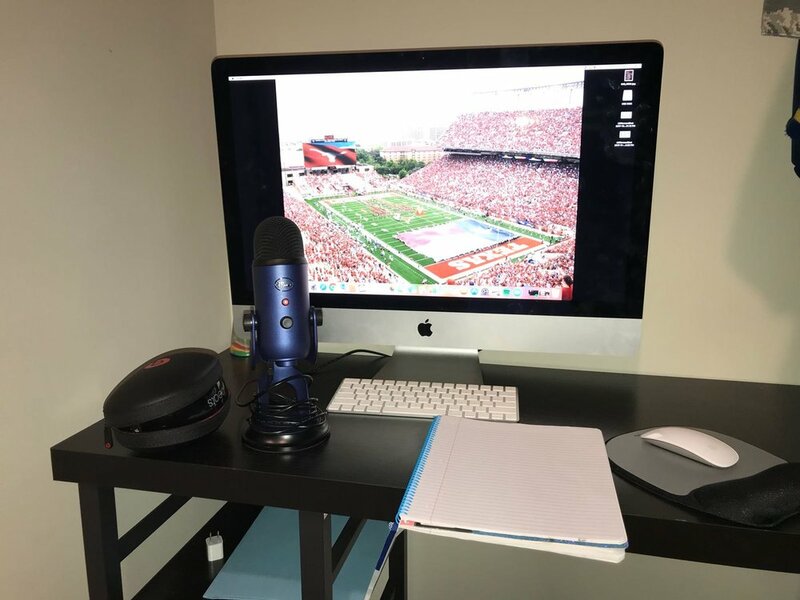 The speed at which podcasts can be created and distributed make podcasting a perfect medium to discuss sports and entertainment topics that are prone to constant change. The freshness of the content is the good news for fans and podcasters. The tricky part is that the content can go stale very quickly. A big win by an underdog team in March Madness is old news come April. "The freshness of the content is the good news for fans and podcasters. The tricky part is that the content can go stale very quickly." Truth be told, I don’t personally follow many sports closely so I didn’t realize how big college sports are until I moved to North Carolina last year from Los Angeles. (L.A. gave me a glimpse into college pride but it appears the American South has bigger college sports fans). When we were in LA I saw the USC, UCLA, Stanford, and even Oregon pride around town, but after we moved I really saw the college rivalries emerge in North Carolina. Duke, UNC and NC State are major battle lines and self-descriptors here. Who knew!? I grew up in the northeast so either college sports aren’t as big there (maybe) or I just wasn’t paying attention (most probable scenario). Today we’re talking to Five Star Walk On, a college football podcast started by three lifelong friends. Here are excerpts from my interview with Sean of Five Star Walk On. 1. Q. How did the podcast start? 1. A. We spent so much time talking about recent games, upcoming games, and other college football news that eventually, we just decided to start recording our conversations. We thought that other people might be interested in what a few average joes have to say about college sports. 2. Q. What was the hardest part about starting your podcast? 2. A. Honestly, we had no idea what we were doing when we first started. We would just click record and then talk. Our conversations didn’t always flow so well, and we spent a lot of time rambling. Eventually we figured out how to make our episodes more structured. 3. Q. What’s the best part about podcasting? 3. A. We all have day jobs that take up a lot of our time and energy. It’s been really great to be able to work on something of our own, especially with your best friends. Having this podcast gives us the opportunity to stay in touch pretty much every day and talk about something we’re all passionate about. Also seeing our number of listens grow and receiving positive feedback from listeners is really cool. 4. Q. How do you promote your podcast? 4. A. Right now we use Twitter, Facebook, and word of mouth to promote our podcast. 5. Q. What’s your recording setup? 5. A. Funny story, actually. Tater records from his camper trailer, using his phone as a hotspot. Dylan finds peace and quiet in a closet. Sean has a desk in the corner of his bedroom. We all have high-quality microphones that we got for under $100. Not the ideal setup, but we make it work. Also, Zencastr has been an incredible tool for our podcast. Being able to record every week, with all 3 of us living in different locations around the country, would be nearly impossible without it. 6. Q. Best tip for other podcasters? 6. A. It’s not as hard to get started as you’d think. If you feel like starting a podcast about something you like talking about, just do it. How can you find the Five Star Walk On team and Podcast? Posted on June 7, 2018 by Dan Russo and tagged spotlight football podcast.